The artwork found here is free for your personal use. If you are posting a scrapbook using this artwork on another website or blogsite please credit both the designer and ScrapbookFlair appropriately with something like: Designs are freebies from Designer X available in ScrapbookFlair Designer Collections at www.ScrapbookFlair.com. 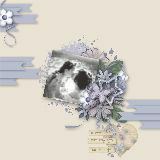 Artwork found here may not be used for commercial use without the written permission of the designer and ScrapbookFlair. Take a moment to think about what better way to honor our Moms, who have been there for us all the times. OR order a speed download for a small fee. This Best Mum Collection from Lynneyboo is the perfect opportunity to create a personal gift for your Mom. So feel free to say thanks to your Mom for everything she has done for you. Take a moment to think about all the things that you learned from your Mom and all the times she has been there for you. What better way to honor your Mom than to do a special page with this Mom's Day Collection from Nayyan? Our Mothers are there for us through all the ups and downs of Life. 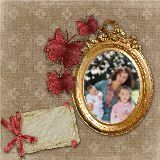 This Mothers are Special Collection from inspiredmommie is a great way to create a special gift for your Mother this year. This Mom's Day Collection from Sooze is a great way to create some special pages for your Mom. She is there for you whenever you need her. This is a great way to show her how much you appreciate her. It seems unfair that Mother’s only get 1 day a year to celebrate. It seems like it should be more. So, take advantage of this one day a year to relax and enjoy a much needed break. This soft and flowery collection from The Sumners is ideal to capture and remember all those special Mother’s Day moments. Moms deserve at least an entire week rather than just a day to celebrate everything they do. So, honor all the Mom’s in your life with this beautiful Mother's Day collection any time of the year.